If good things come in threes, the number seven is even better. That's how many restaurants and bars have opened or are about to open in Sebastopol's increasingly interesting food and drink scene. Mother's Ruin opened last month in the space formerly occupied by the Lucky Star bar. Mother's Ruin is a bar, too, that specializes in gin—mother's ruin. The term comes from England's late 1700s, when gin consumption was rampant thanks to tax-free booze and a depressed economy. Too much gin left men impotent and women infertile, i.e. ruined. There's a great mural on the wall of the bar featuring a reproduction of English artist William Hogarth's Gin Lane from 1751. The print features a scene of gin-soaked depravity. At the center is a nursing mother who appears to be letting her child fall off her lap into a stairwell as she boozily reaches for a tin of snuff. 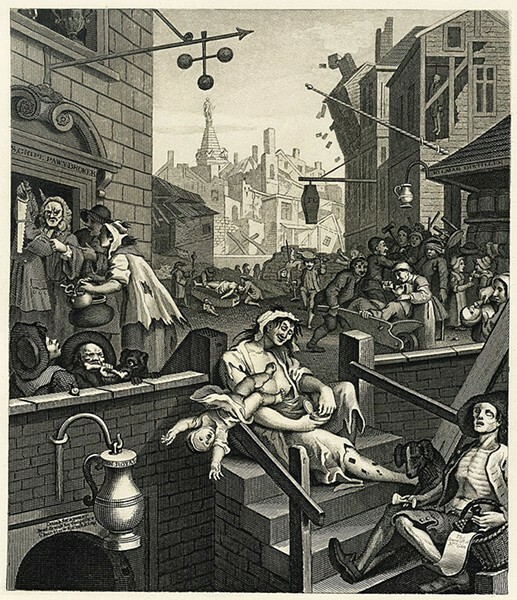 Hogarth also produced Beer Street at the same time, which depicts a happy scene of upstanding beer drinkers. The images were created to be shown side-by-side as an early public service announcement—or as beer propaganda, depending on your view. You can contemplate all that while sipping one of the bar's excellent gin cocktails (try an Alley Cat). While the top-shelf gin shines here, the bar is exceedingly well stocked with other artisanal, premium spirits. The space was thoroughly remodeled and feels more SOMA than Sebastopol with its high ceilings and spare, modern furnishings. If plans for a yet-to-be finalized restaurant next door materialize, patrons will be able to order food as they enjoy their ruination in high style. Across the way at the Barlow, there are five developments in the works. Fern Bar, the latest endeavor from the Lowell's and Handline clan, is taking shape and aiming for a late November opening. It will be a bar and lounge that features a small plates menu from Lowell's chef Joe Zobel and nonalcoholic concoctions and decoctions from Gia Baiocchi, owner of the nearby Nectary. The two businesses will share a kitchen space that will also include a small brewery. That means the Barlow will be home to four breweries once Santa Rosa's Seismic Brewing Co. opens its taproom there. Seismic is pioneering brewing with water- and energy-saving technology. The company was founded by Christopher Jackson, scion of the Sonoma County winemaking family. He's going it alone on his beer business. What about cider? Sebastopol's Golden State Cider is also planning to open a taproom by year's end. With all that booze, you need to eat something. Kosho has taken over the space that once housed Vignette. No word on when it will open, but chef Jake Rand, formerly of St. Helena's Two Birds/One Stone, will offer a menu of modern and traditional Japanese food. The Farmer's Wife, beloved farmers market purveyor of gooey sandwiches, recently signed a lease for a space in the Barlow as well. 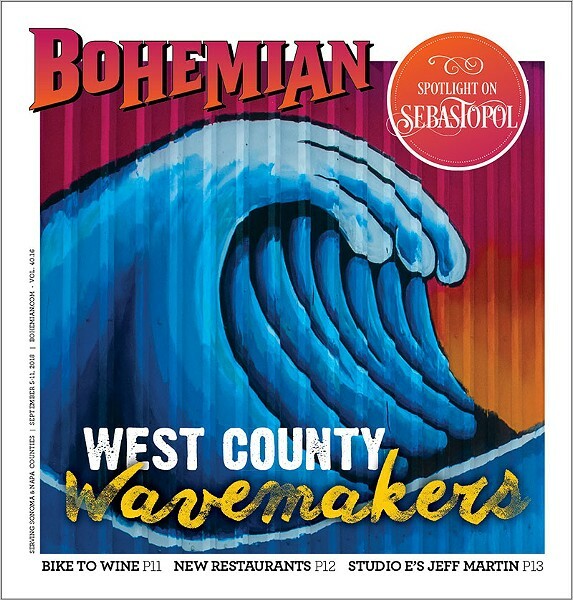 Looming in the background of the food and drink tsunami is the Hotel Sebastopol, an upscale hotel and restaurant project from the folks behind Healdsburg's Hotel Healdsburg and h2hotel, Spoonbar and Pizzando that will be sure to raise the city's profile. Construction is supposed to begin in "late 2018," but so far there are only weeds on the lot now. For good or ill, Sebastopol looks to be hurtling toward Healdsburgification, and the opening of the hotel may seal the deal.